Did you know that at the age of 65, one in three adults has some hearing loss? However, a majority of the people who suffer from hearing loss are under age 65. To determine the level and severity of your hearing loss no matter what your age, you will need to undergo hearing testing, and the better the test, the better you will hear. Our tests go far beyond the basics, but we think you will be happy with the results. At Sound Advice Hearing Aid Centers, we take the treatment of your hearing seriously, and we make finding a personalized hearing solution easy and affordable. We accept most insurances, we have 0% financing plans, and we offer a free two-week trial period for your new hearing aids. All of these hearing loss conditions create health and wellbeing problems that go far beyond the patient’s ears. People with impaired hearing ability often withdraw from social events, feel emotional stress, suffer from dementia, and experience imbalances which can lead to a catastrophic fall or accident. Saves Time. The Avant System allows us to provide patient diagnosis, hearing aid diagnostics, and maintenance, all on-site. Saves Money. Hearing aids require routine maintenance to function properly. The Avant System can often extend the life of your hearing aid. Improves Quality of Life. The Avant System enables thorough testing in a speedy manner to help get you up and running, the way you like it. Video Otoscope. The Video Otoscope is an integral tool used in the Avant System. 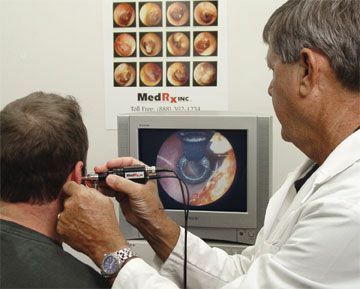 This tool allows the specialist and you, the patient, to look inside your own ear together. Now you can see what our practitioners see. Live Speech Mapping. 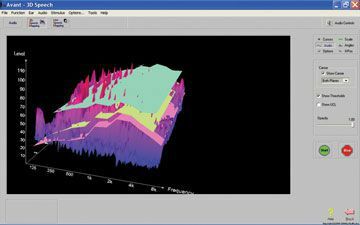 This revolutionary process allows a practitioner to use the voice of a patient’s loved one or another person to create a customized visual “map” of a patients’ listening range. Instead of an unnatural set of sounds and scenarios, real-world examples of what a patient may actually experience can be the official testing stimuli. This helps in both the accuracy of the test and in creating a more comfortable testing environment. Hearing Ma intenance & Optimization. Many factors like age, changes in amplification, and lack of cleaning can affect the function of a hearing aid. The Avant System also allows us to diagnose any issues and to clean, repair and/or adjust the hearing aid to ensure that they meet the manufacturer’s original specifications. Sound Advice Hearing Aid Centers has locations all across Maryland and Delaware making it easy for our patients to find a location that is convenient for them. To make an appointment at the office nearest you, call the number on this page or use complete our contact form today.